Valley County and the Milk River have long been known as trophy whitetail habitats. This 392 +/- acre farm located just 7 miles East of Glasgow is no exception. There is over 2 miles of Milk River frontage. 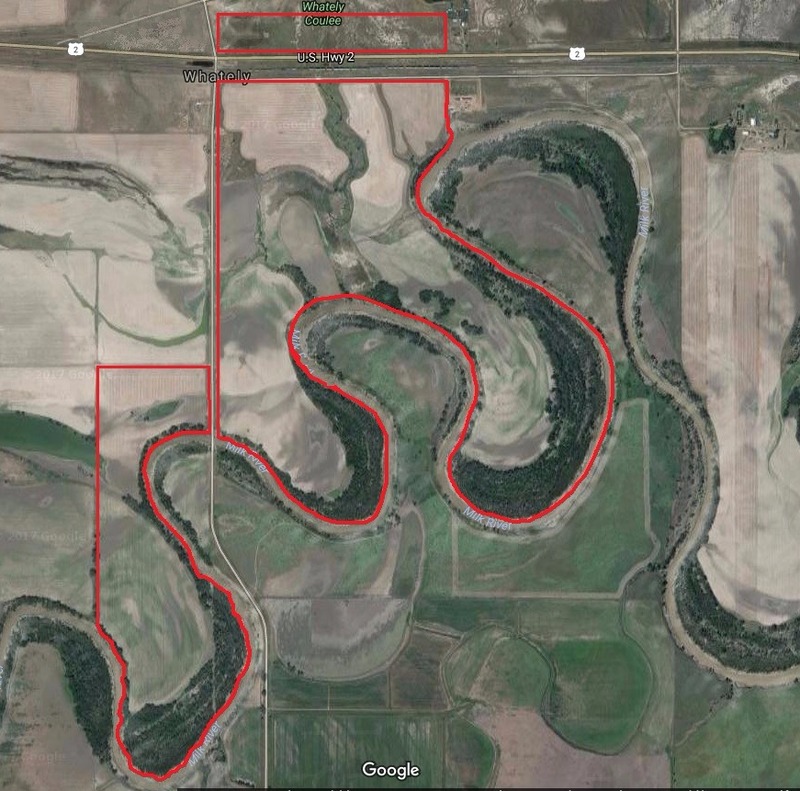 275 acres of the property are productive Milk River bottom farm ground and 117 acres of grass. There is a ton of potential here! You will find your next trophy Whitetail buck right here on this beautiful land. Not only do you have recreational fun right out your door but, hop in the car and take a short drive and the adventures will never stop. Take the family to Fort Peck Lake, Nelson Reservoir, Lake Bowdoin or the Missouri River as they are all nearby! Contact the Helland Agency for your private showing today at 406-228-2114. Priced at $450,000.